The answer came this morning from my good friend Audrey Domenach who posted some Port pictures on Facebook. Today also happens to be the first ever International #PortDay, so I will follow Audreys lead and post about my Vinocamp Lisbon visit in May last year. It was my first time in Lisbon and I was totally charmed by the beauty of the city. I loved the mosaic style streets, the little white and blue tiles really brightened up the place – even though they were deadly when walking on stiletto’s ;-). The architecture is amazing as traditional buildings blend in with super modern ones. Lisbon also is a really vibrant place, with people piling out of the little restaurants and bars, and street parties seem to be starting everywhere late at night. And the food was glorious!! 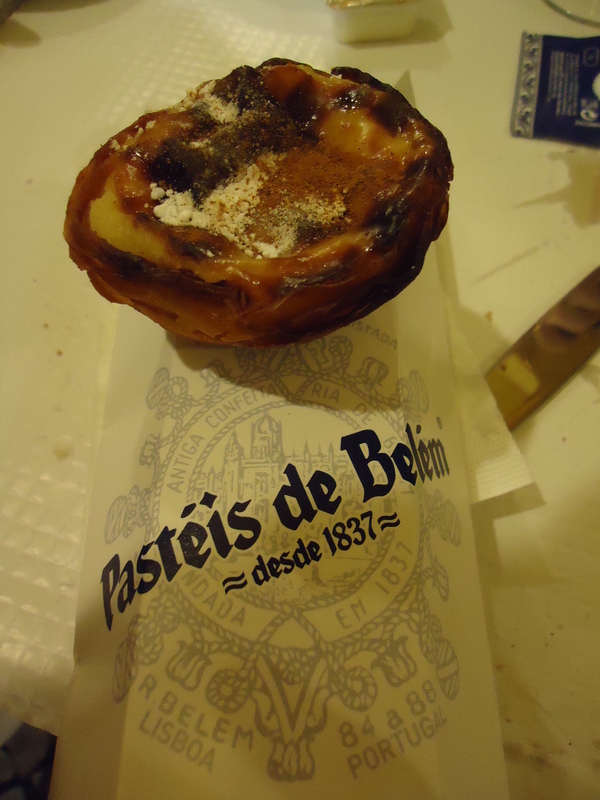 For a person who is not crazy about desert and sweet stuff I fell in love, not just a little bit but head over heals when I found THE best custard pie I have ever tasted in a quaint Belem pastry shop. To enter the shop is an experience in itself. 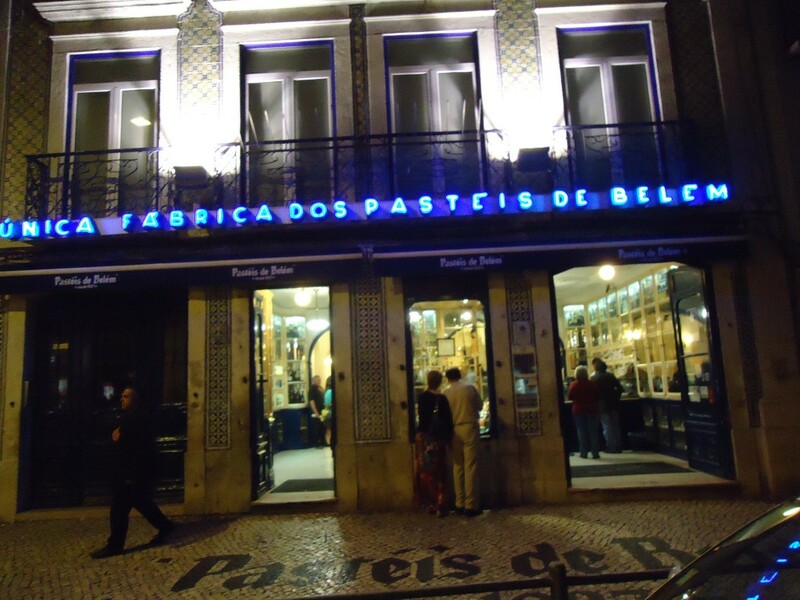 The whole place is tiled in white ands blue and they only sell Pasteis de Belem – their own version of the Pasteis de Nata – a traditional Portuguese custard tart – and Port. Actually both side walls held cabinets that were filled with bottles of Port, and good Port too – mainly Coheita’s and Tawny’s with an Indication of age (10, 20, 30 or 40 years old). Colheita is a very popular Port in Portugal, but rare and difficult to find in the rest of the world. It is a kind of vintage Tawny – all the grapes in the wine are from the same vintage, however they are processed as a Tawny with less vigorous extraction, hence colour and tanin, and are then aged at least 7 years in oak barrels before bottling. Most Colheita’s however spend a lot longer aging hence the bottling date as well as the vintage will be on the bottle. I had my Pasteis de Belem (in plural) with some fabulous Niepoort 1984 Colheita. The Port had been bottled in 2008, and therefore had aged for 24 years, resulting in a rich, layered and very morish wine with flavours of Christmas spice, roasted nuts, dried figs, prunes and raisins. It enhanced the cinnamon you put on top of the Pasteis and made the pastry even more delicious and sinful. Happy #Portday and Vendredis du Vin to all of you!! Caroline is a certified Sommelier (by the CMS) and WSET diploma student. In order to specialize in the wines of Champagne she moved to the region and currently works as a wine consultant, wine educator and wine writer. She is a member of the Circle of Wine Writers and writes for several international publications including Palate Press, Snooth, Wine-Searcher, Decanter and Vinogusto; further activities include teaching Champagne related courses at Reims Management School and organizing personalized tasting experiences at http://www.tastingswithatwist.wordpress.com as well as being a regular judge at international wine competitions. 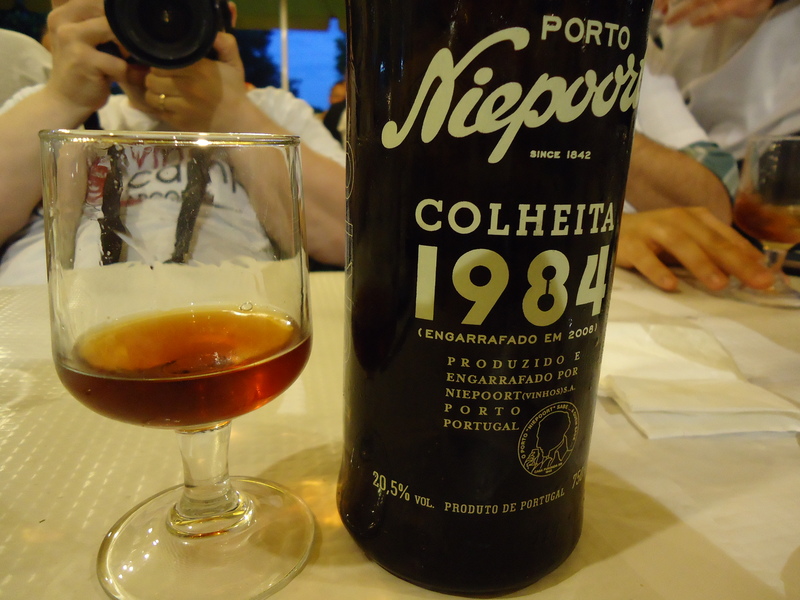 This entry was posted in Food and Wine Pairing, Porto, Vendredis du Vin, vinocamp and tagged #PortDay, Colheita, Le vin et les voyages, Lisbon, Niepoort 1984 Colheita, Pasteis de Belem, Port, Tawny, travel, Vendredi du Vin, Vinocamp, wine. Bookmark the permalink. Merci Michel! It was delicious indeed! !